This link-up just keeps getting better and better. The quality of projects linked up is outstanding. Here are a few from last week. With all the velcro, learning to tie shoes sometimes seems impossible. Life with Moore Babies had a truly brilliant idea. 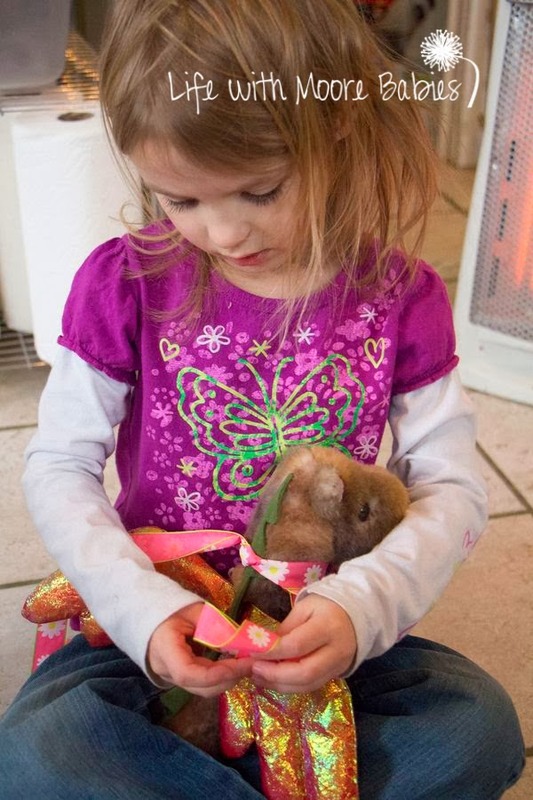 The girls tied ribbons around their stuffed animals. They had no idea they were learning to tie their shoes. They were just playing and having fun. Our European winter has been unusually mild. We haven't shoveled in Germany yet, but I know that's not the case for those of you in the US. 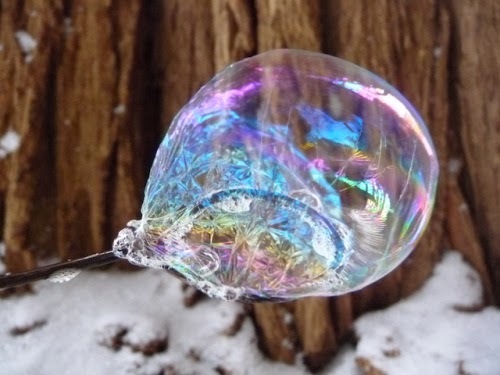 So if you need an excuse to go outside and play, or do some science, try making Frozen Soap Bubbles. We haven't studied Egypt yet. Maybe next year? The kids at All Things Beautiful are making the planning easy with their great variety of Ancient Egyptian projects. Be sure to visit. 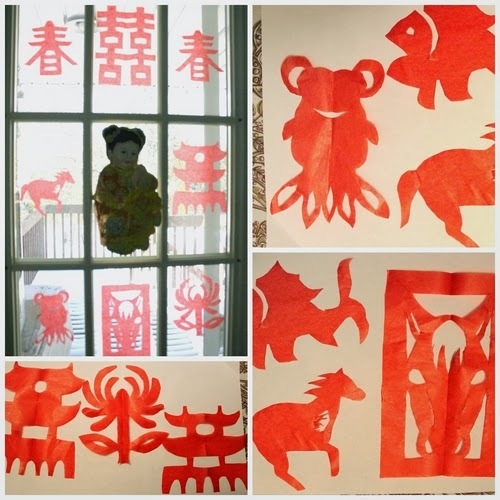 We are always trying out new crafts, so Chinese Paper Cutting caught my eye. They are fun, make beautiful window decorations and allow creativity to blossom. Thanks to everyone who linked up and took time to visit the linked-up posts. Didn't have success with frozen bubbles last time we tried them, going to try them a little different this time around -- definitely cold enough here today! I agree, your link up is becoming (even) better and better! Thank you! Thanks so much for the feature. We do what we can to entertain ourselves during these polar vortex moments, even if it means blowing bubbles in rather cold temperatures! I've tried the frozen soap bubbles as well, with little success. Since then I have heard that direct sun is bad and I have learned of a different bubble solution recipe, so I have intentions of trying again. Thanks for hosting the linky. Oooh, big fan of the sarcophagus mask and chinese paper cutting. Thanks for sharing, I'm going to tuck these ideas away for later!